Purpose: Use this document as a reference for managing your voluntary deductions in ctcLink. Current voluntary deductions will appear on this page. If there are no deductions, this page will be blank. 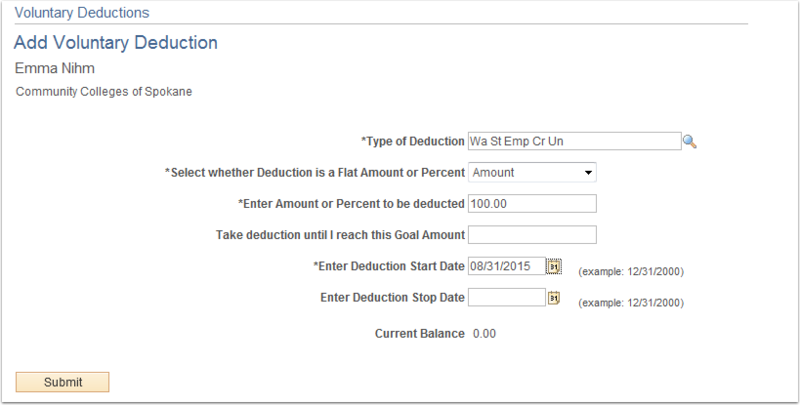 To edit an existing deduction, click the Edit button. Make the appropriate changes and click the Submit button. 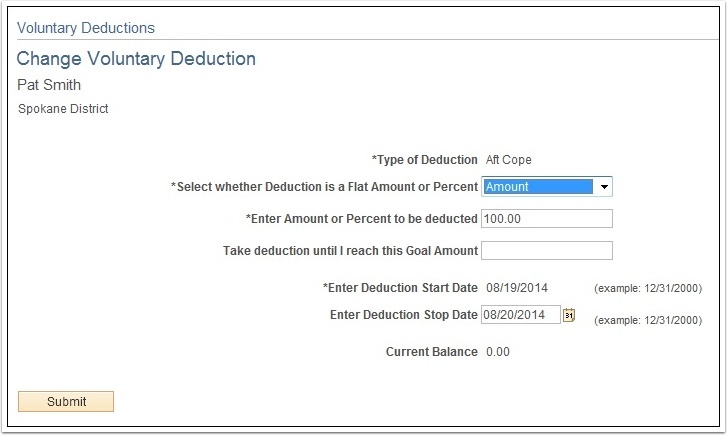 To add a new deduction, click the Add Deduction button.